What can we learn from what people say about their health? Can we trust individuals’ subjective evaluations of their health? And if so, should we convince health care providers to do so? Self ratings of health have consistently been found to predict mortality and future morbidity: They have an independent contribution to the prediction of future health, even after controlling for a variety of other known predictors. The talk will provide a historical overview as well as state-of-the art evidence regarding these intriguing findings, based on studies of midlife and aging, specific chronic diseases and health events, and individuals who have encountered severe trauma. The evidence will serve to highlight possible mechanisms that could account for the validity of self-rated health as well as the limits to its validity. Finally, practical issues regarding the assessment of self-rated health will be discussed. 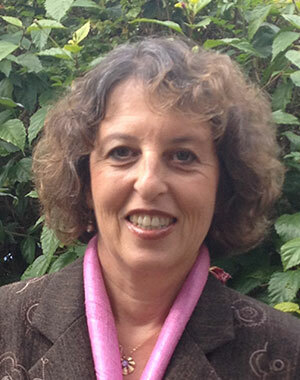 Yael Benyamini is a Professor at the Bob Shapell School of Social Work of the Tel Aviv University. She attained her BA and MA at the Hebrew University in Jerusalem and her PhD in health and social psychology at Rutgers University in New Jersey. Prof. Benyamini studies how people think about their health. Her research focuses on subjective perceptions of health and illness and their effects on coping with health threats and ultimately on the psychological and physical outcomes. She has co-authored with Prof. Ellen Idler the now classic 1997 review on self-rated health, cited over 3,600 times to date, which has provided a theoretical framework for understanding the validity of subjective ratings of health. This review has led to a dramatic expansion of research on self-ratings of health and was recognized as one of the most highly cited articles in the social sciences (http://www.in-cites.com/papers/Idler_Benyamini.html ). Prof. Benyamini has continued to make significant contributions to this field and to expand her research from perceptions of global health to those of specific conditions. Her numerous grants and publications focused on the way people think about their health and cope with it in the context of women’s health issues (infertility, high-risk-pregnancy, childbirth, menopause), chronic diseases (coronary heart disease and chronic pain, among others), and ageing. She is currently involved in two COST Action networks on seemingly opposite topics: Aging and Childbirth. This underscores the generalized principle behind her research and thinking, applied in various contexts: How and why do people form perceptions of health, illness and aging? Why are these perceptions resistant to change? When and why do they change? What are their effects and what can we learn from them? Professor Benyamini is an elected Fellow of the European Health Psychology Society (EHPS). She served as Secretary of the EHPS for four years and as an Associate Editor of Psychology & Health for eight years. She was involved in various scientific roles in all EHPS conferences for an entire decade, from 2006 on. She is co-editor of the 2016 book on Assessment in Health Psychology. She was recently elected by the Tel-Aviv University Senate to the University’s Executive Council and to the Board of Governors. Yael is also an avid mountain cyclist.